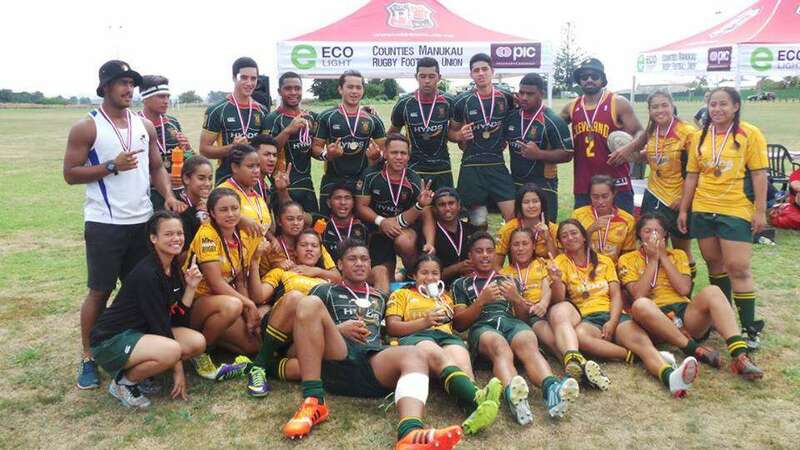 Two teams from Manurewa High School are through to the national secondary school's rugby sevens competition after winning at last week's Counties Manukau rugby sevens champs. For the first time our boys under-19 team won the competition, while our girls open-grade team regained their title after not competing for a few years. Sports Coordinator Ms Melina Martene said the success was testament to the resolve of both teams to win. "Both teams played smart and as one unit and it made a difference. A huge asset this year to both teams was coach Jordan Cama. His teaching and experience aided both teams during training sessions, and ultimately neither team could have achieved what they did without him." Ms Martene says the win is extremely exciting, a "massive opportunity" for our players to gain exposure at the next level of Secondary Schools 7s. "We have some talent and with the right guidance and training ethos I'm sure some could go a long way. But for now we must train to compete with NZ's best!" 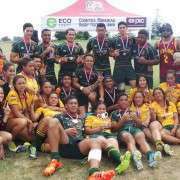 Taufa Latu - Top try and points scorer of the tournament. Miracle Savea - due to injury didn’t play on the day so fulfilled the role of trainer. Aki Piliu - Top try and points scorer of the tournament. Verenaise Pickering and Evida Tofaeono - non playing team members.